However, its sub-par interior quality and unremarkable space make for questionable value. 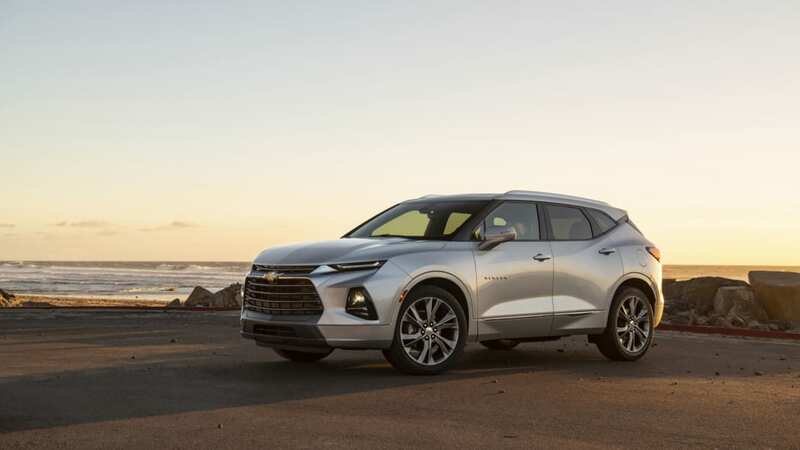 Some could argue that it also doesn't go far enough to achieve the Camaro-inspired, performance-oriented SUV its styling promises and that Chevy is most definitely capable of. Basically, we think it should be even zestier or just nicer given its price tag. The Chevy Blazer is an all-new model for 2019, although it obviously carries the storied name of long-ago Chevy SUVs. 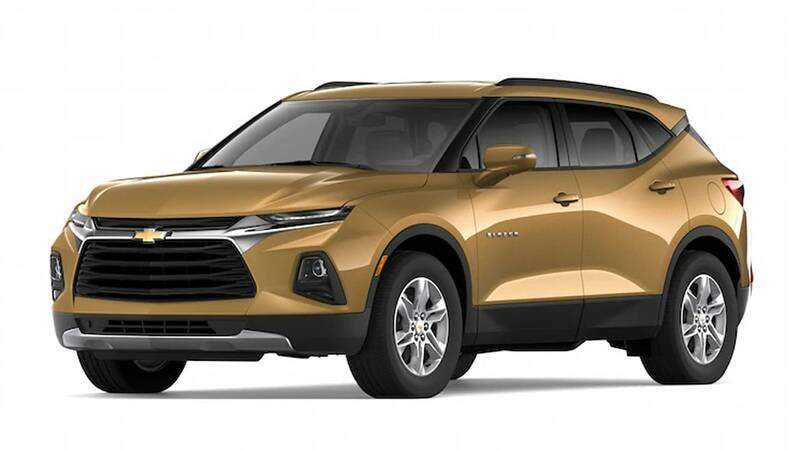 Unlike those truck-based ancestors, this one is a crossover based on the same platform as a Cadillac XT5 and GMC Acadia. 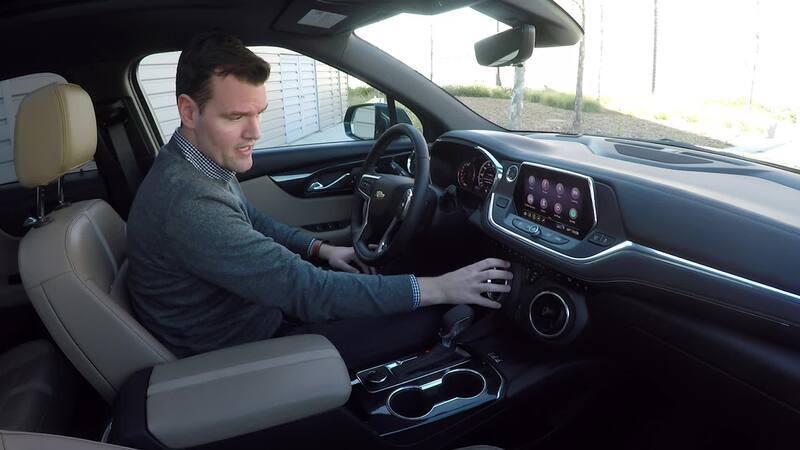 What's the Blazer's interior and in-car technology like? 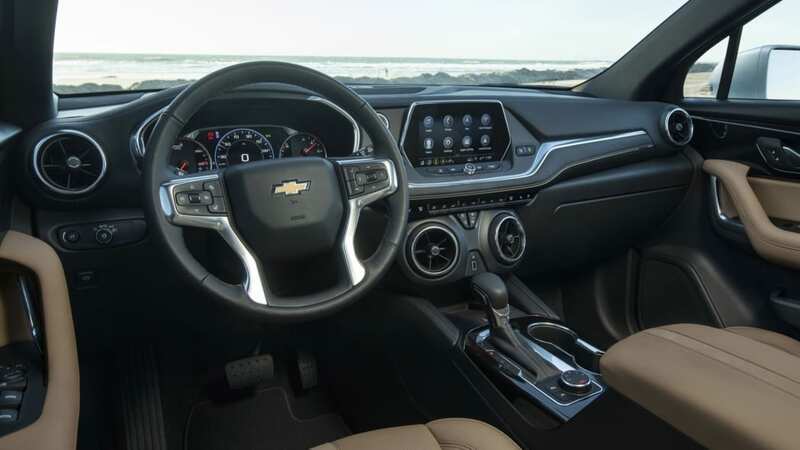 On the one hand, the Blazer interior impresses with its Camaro-inspired design elements — note the rotary air vents/climate controls in particular — that make it look as special inside as it does on the outside. Unfortunately, the quality of materials used is disappointing given the Blazer's price point. 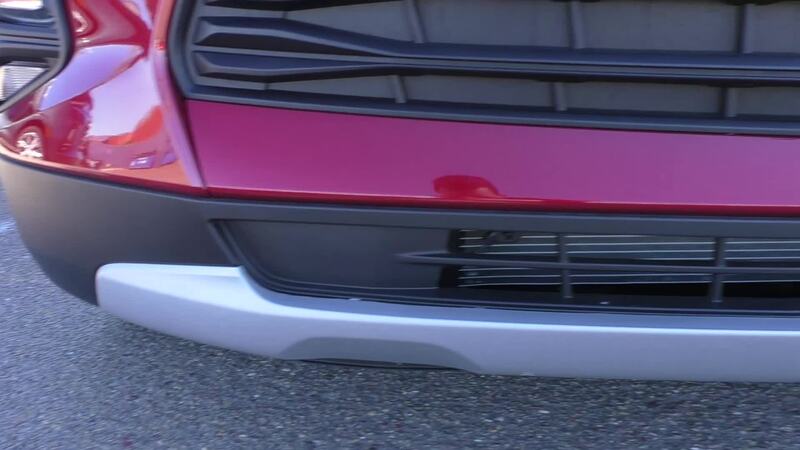 That's especially the case with the Premier and RS trims that can top $50,000 (shown above), but even lower trim levels are no nicer than compact SUVs (Honda CR-V, Mazda CX-5) that cost much less when similarly equipped. Quite simply, the Blazer either needs a lower price or a ritzier interior. At least the Blazer's infotainment offerings are better and more abundant than most. 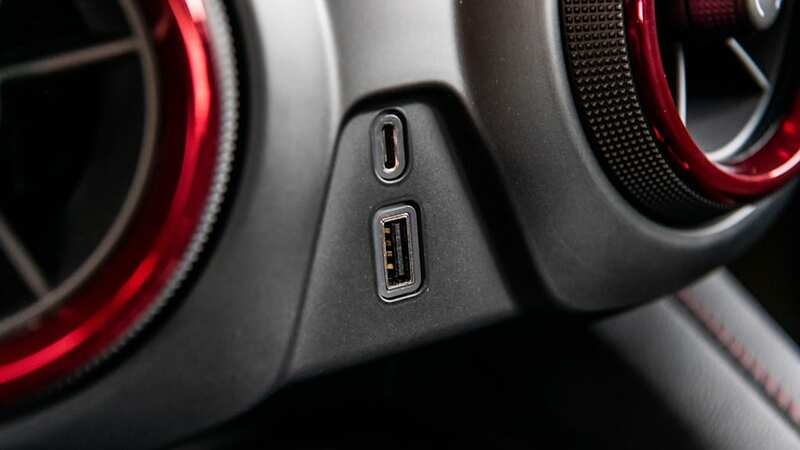 Every version gets an 8-inch touchscreen, Apple CarPlay, Android Auto, 4G LTE in-car WiFi, OnStar and four USB ports, including a new USB-C port (the small one). 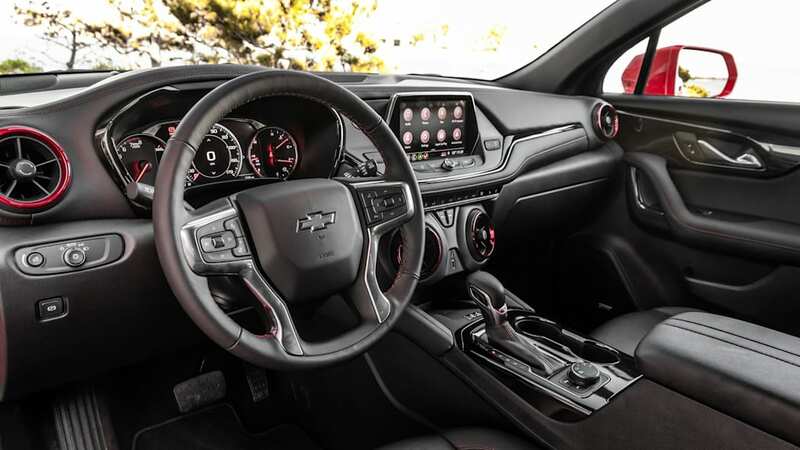 That standard touchscreen is GM's latest, which is pretty easy to use with big, clear icons and a sensible menu structure. How big is the Blazer? 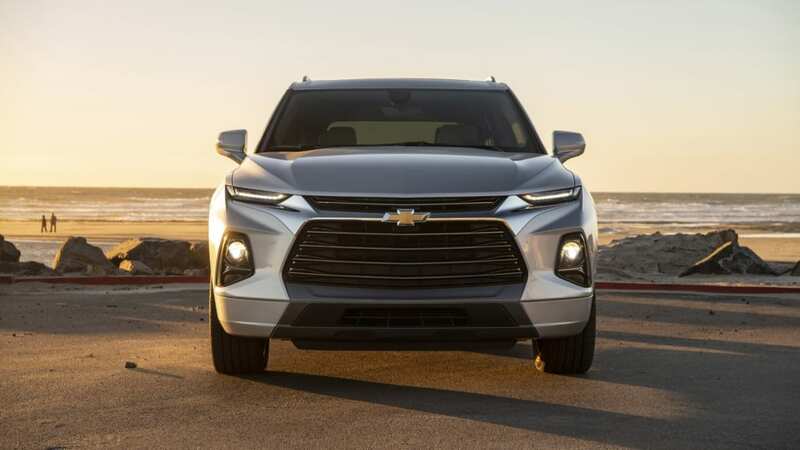 The Blazer is a midsize crossover, with exterior dimensions that put it in the camp of such vehicles as the Ford Edge and Jeep Grand Cherokee. It's also quite wide, resulting in more shoulder room in the back seat relative the Edge and all compact models. You're more likely to fit three across or fit people on either side of a child seat. However, rear seat legroom at 39.6 inches is only similar to larger compact SUVs like the Honda CR-V and Toyota RAV4, and it has less headroom. That sleek, low roof will likely result in your hair grazing the headliner, and with the panoramic sunroof, you might even need to slouch or utilize the seatback's ample recline. 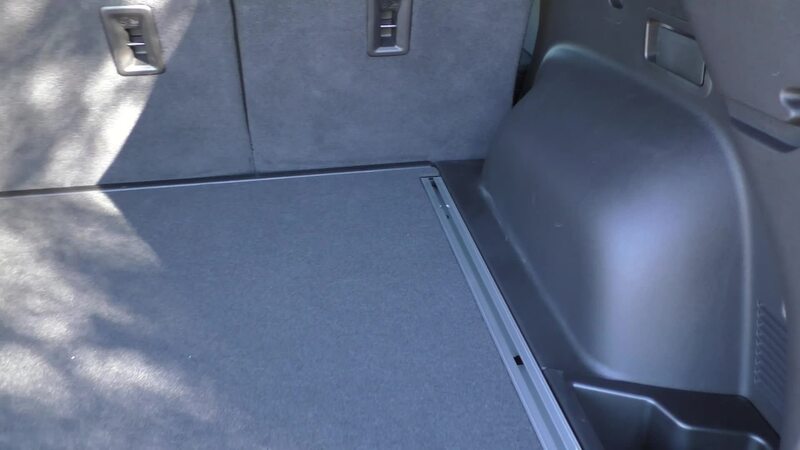 The back seat does slide generously, making it easy to bring kids closer to those in front or free up extra cargo space. That's a good thing, since its on-paper cargo figures are unremarkable. 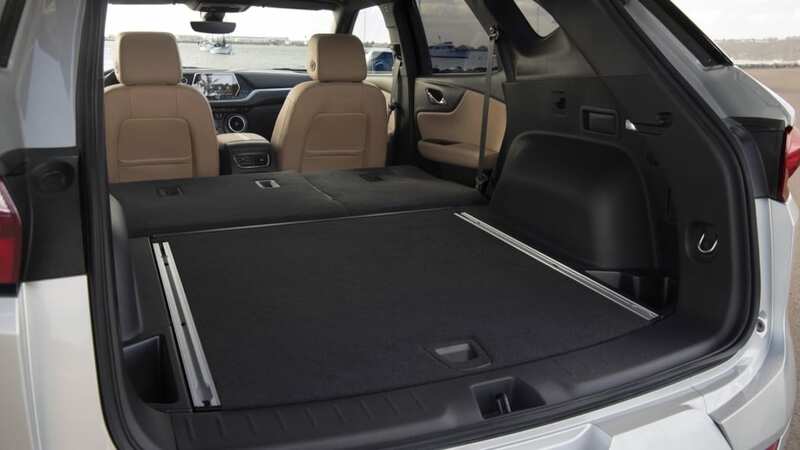 There's 30.3 cubic feet with the seats raised and 64.2 when they are lowered completely flat thanks to a cleverly engineered seat bottom (see cargo video below). By contrast, the biggest compact models like the CR-V and Forester are in the mid 30s and 70s, respectively. 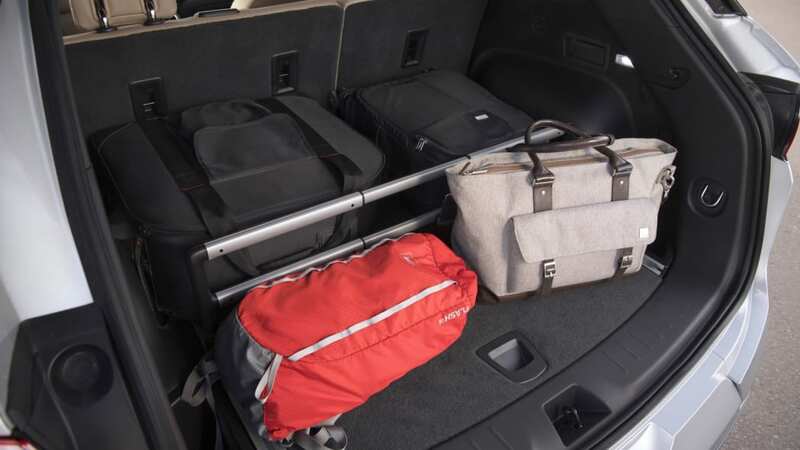 Even Chevy's own Equinox has only a single cubic foot less of maximum cargo capacity than the Blazer. 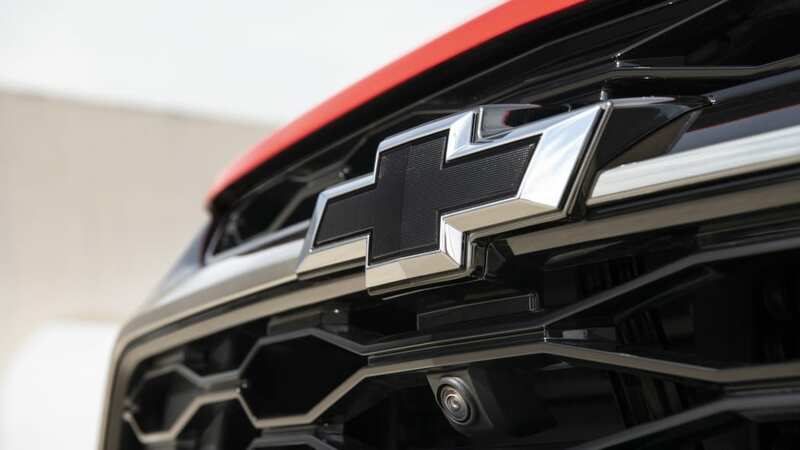 What's the Blazer's performance and fuel economy? 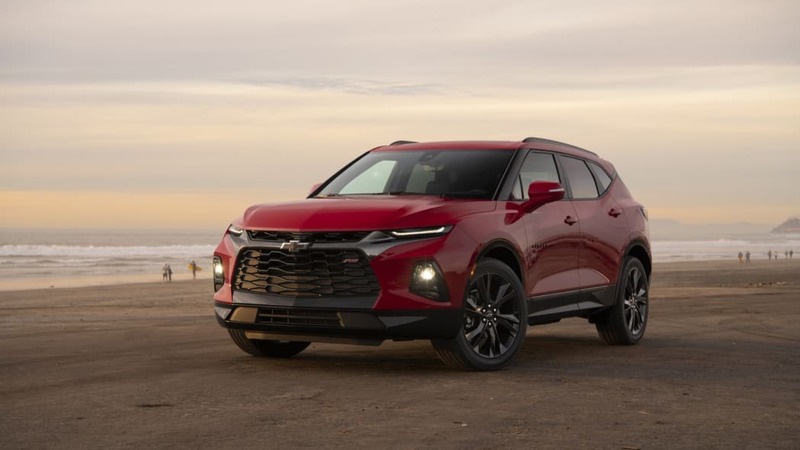 The Chevy Blazer comes standard with a 2.5-liter naturally aspirated four-cylinder good for 193 horsepower and 188 pound-feet of torque. That's not a lot of grunt for a vehicle that weighs 3,810 pounds, and is grossly less than the base engines of most similarly sized midsize competitors. Its EPA-estimated fuel economy of 22 mpg city, 27 mpg highway and 24 mpg combined is just OK given its meager output. The optional 3.6-liter V6 is a far more competitive powerplant, boasting 308 horsepower and 270 pound-feet of torque. 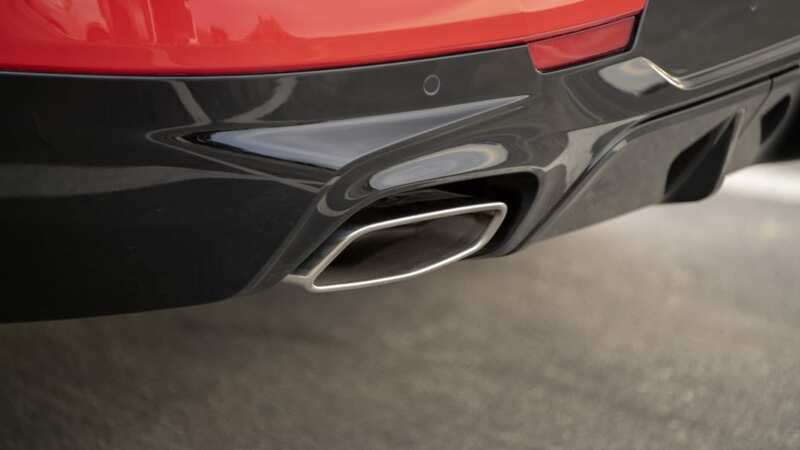 We would expect a 0-60 time in the mid-6-second range, which would make it one of the segment's quickest. Fuel economy is estimated to be 20/26/22 with front-wheel drive and 18/25/21 with all-wheel drive. With either engine, a nine-speed automatic and front-wheel drive are standard. The V6 can be paired with one of two AWD systems (availability depends on trim level). 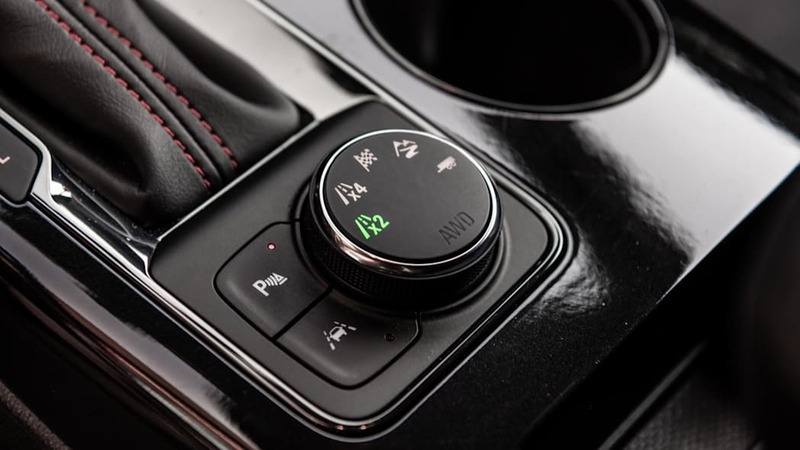 The lesser version can disconnect the rear axle to save fuel, but this disconnection is not automatic — the driver must press a button. 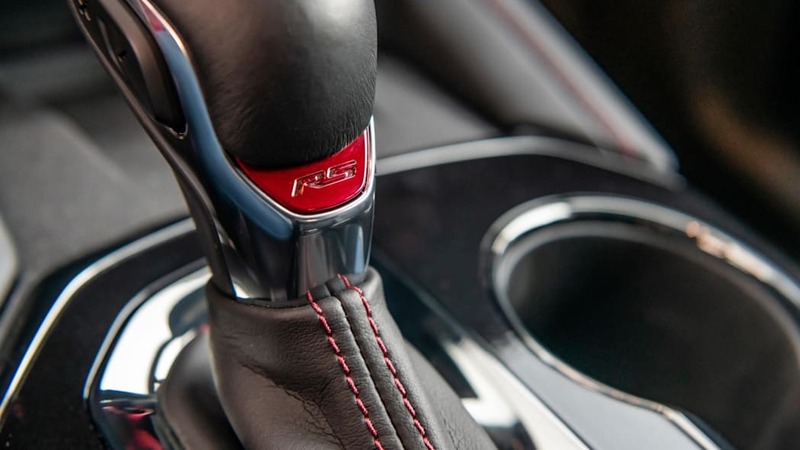 RS and Premier models have a sophisticated torque-vectoring system that not only automatically sends power front and rear, but then also between the left and right rear wheels. That benefits low-traction situations as well as dry-road handling. What's the Blazer like to drive? 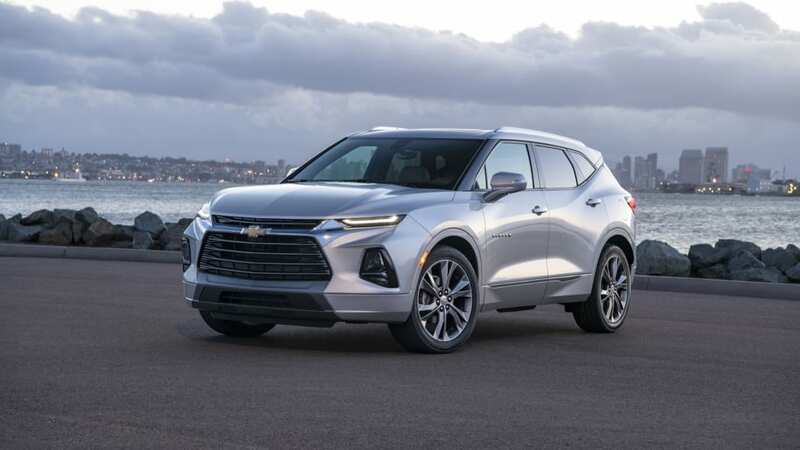 Just as the Blazer features Camaro-inspired looks, its driving experience is definitely in the same spirit as Chevy's beloved muscle car. Even a basic four-cylinder Blazer riding on 18-inch wheels will whip around a cloverleaf with poise and minimal roll. 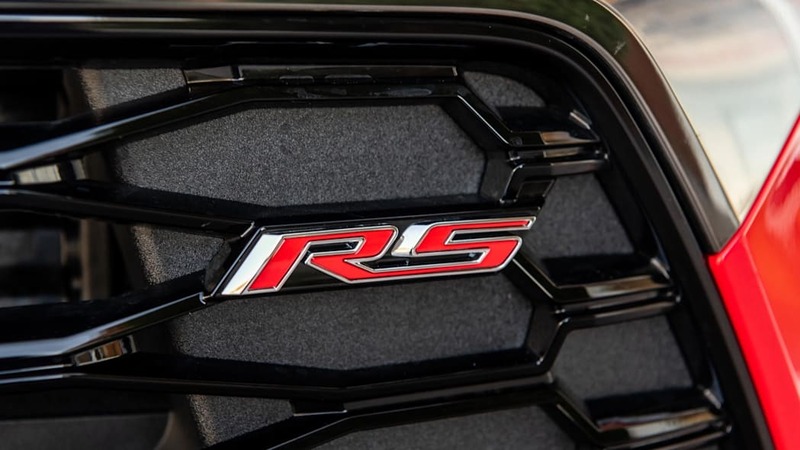 The sportiest RS trim stays even flatter thanks to a sport-tuned suspension and the torque-vectoring AWD system. Opting for the available 21-inch wheels as fitted on our primary test car takes things even further in terms of both body roll and grip. However, having such big wheels and a suspension tuned for road holding does result in a compromised ride. 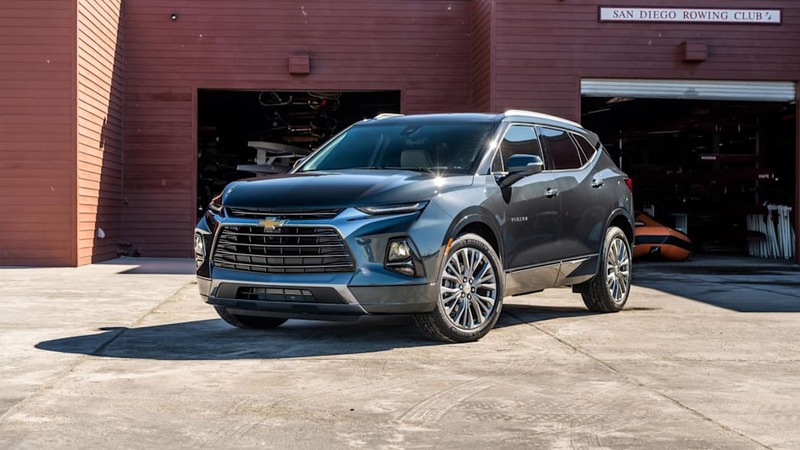 Even the Blazer on 18s has a firmer ride than we've come to expect from GM's crossovers, but damping is quite good, and it's perfectly acceptable for a vehicle with sporting intentions. On the other hand, the 21-inch-equipped RS grew tiresome when driving between 25 and 50 mph on anything but perfect pavement. We couldn't see the bumps, but we could sure feel them. It was admittedly more livable at highway speeds. 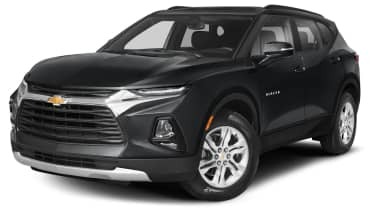 The power steering also disappoints — at least for those expecting the Blazer to be the sporting SUV its styling implies. It just doesn't engage enough or provide sufficient feedback. In terms of engine choice, the base four-cylinder is not surprisingly weaker for a segment dominated by V6 engines. That said, we actually found it to be perfectly serviceable and not as doggedly slow in practice as we were expecting. It's pretty much in keeping with the four cylinders found in compact SUVs (of course, the Blazer's price is not). The V6 provides strong performance that compares favorably to other V6-powered competitors. It's ultimately the engine we'd recommend. 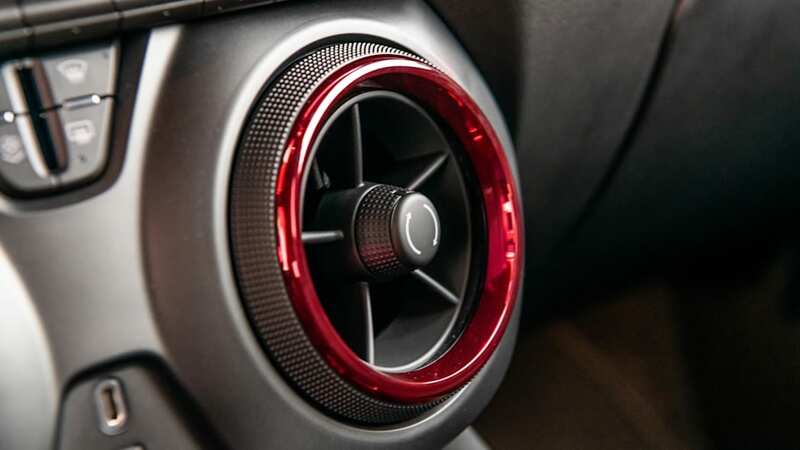 For the sport-tuned RS model, however, it just doesn't provide the sort of soundtrack or amped up exhaust note that's expected. 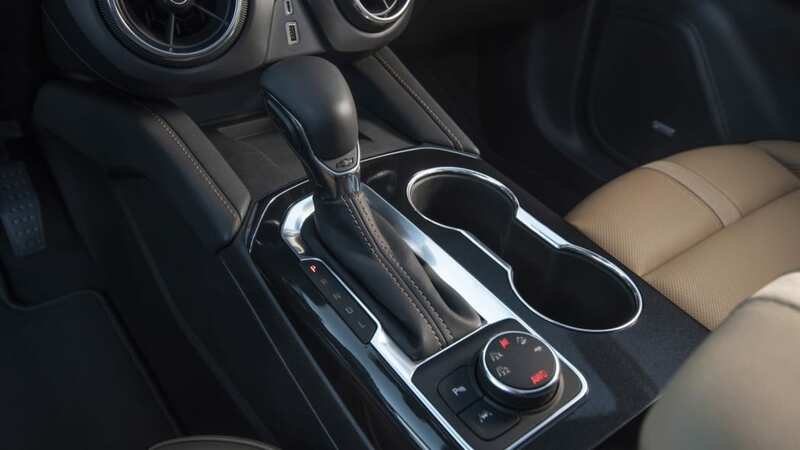 The transmission also doesn't have paddle shifters. 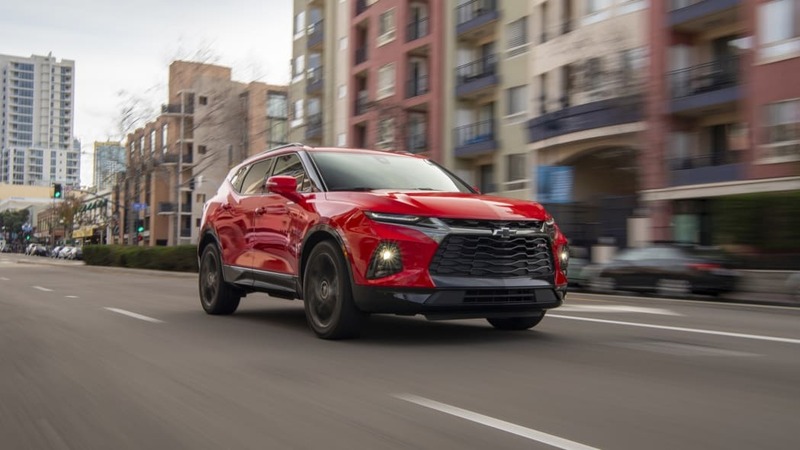 These may seem like nitpicks, but the Blazer RS is meant to be a sporty, performance-oriented SUV. Yet, for the same money, the Ford Edge ST goes a lot further toward that goal while boasting a whopping 30 more horsepower and 111 more pound-feet of torque. What more can I read about the Chevrolet Blazer? We take a deeper dive into the Blazer's engineering and design, as well as analyze its questionable value. We compare the dimensions and engine specs of the Blazer vs the Honda Passport, Ford Edge, Nissan Murano, Hyundai Santa Fe and Jeep Grand Cherokee. What features are available and what's the Blazer's price? 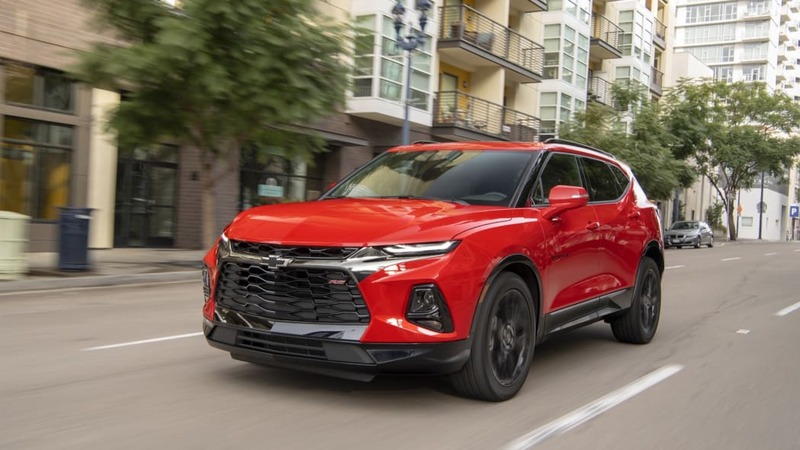 The 2019 Chevy Blazer is available in six trim levels: L, 1LT, 2LT, 3LT, RS and Premier. Pricing for the L stars at $29,995, including the whopping $1,195 destination charge (all prices hereafter will include it). Standard equipment includes 18-inch alloy wheels, automatic bi-xenon headlights, LED running lights, proximity entry and push-button start, a rearview camera, a height-adjustable driver seat, cloth upholstery, a leather-wrapped steering wheel, dual-zone automatic climate control, OnStar, 4G LTE WiFi, an eight-inch touchscreen, four USB ports, Apple CarPlay, Android Auto, and a six-speaker sound system. It is exclusively front-wheel drive and the only available colors are white, black and silver. The 1LT ($33,495) adds rear privacy glass, a compact spare tire, an eight-way power driver seat, and satellite radio. That is a massive price jump for so little equipment, but you do get access to some options and additional color choices. 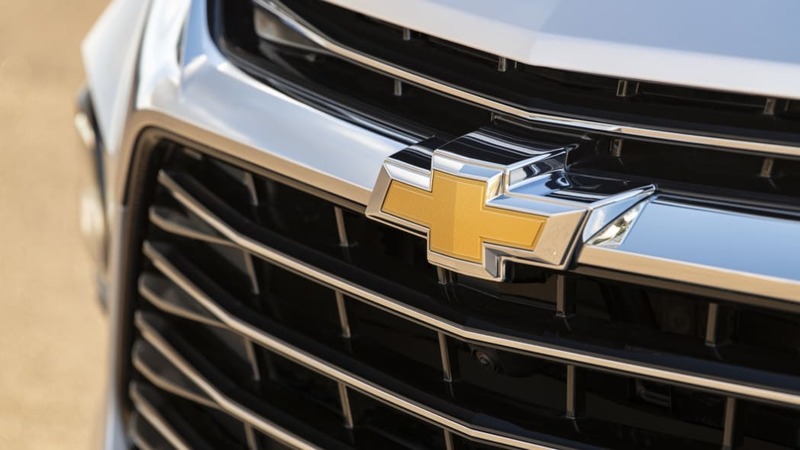 The 2LT ($34,495) adds the V6 engine and is the first trim level available with all-wheel drive. 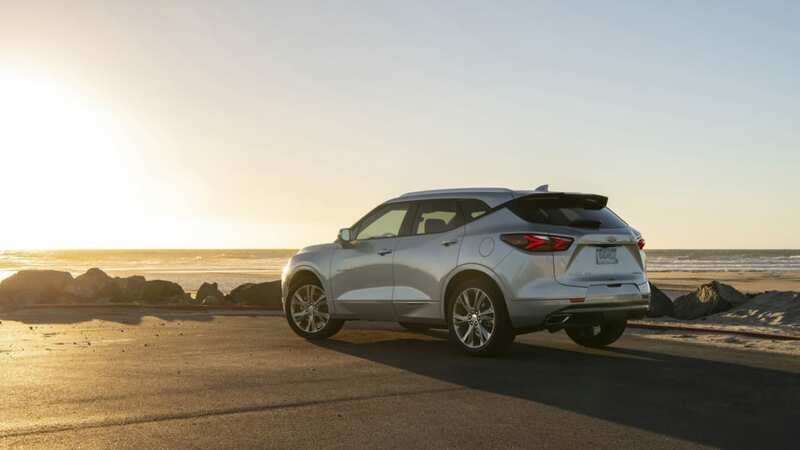 The 3LT ($38,695) adds leather seating, a power liftgate, auto-dimming rearview and driver-side mirrors, roof rails, blind-spot and rear cross-traffic warning, rear parking sensors, heated front seats, and a six-way power passenger seat. 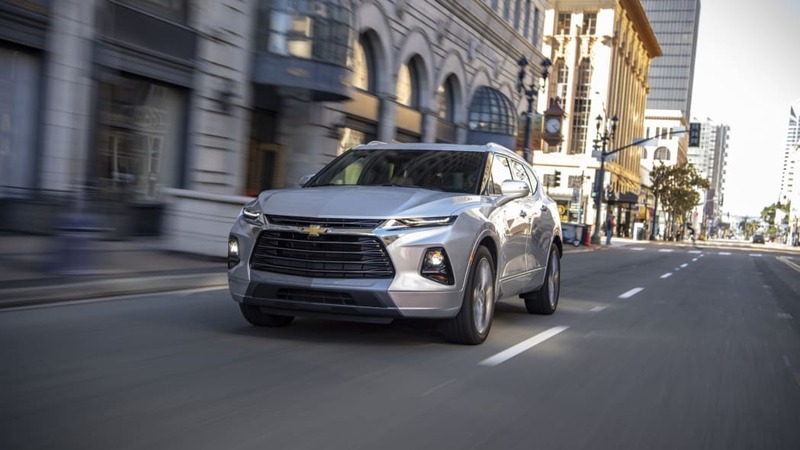 Apart from the leather, these features can be added to the other LT trim level through the Convenience and Driver Confidence package. 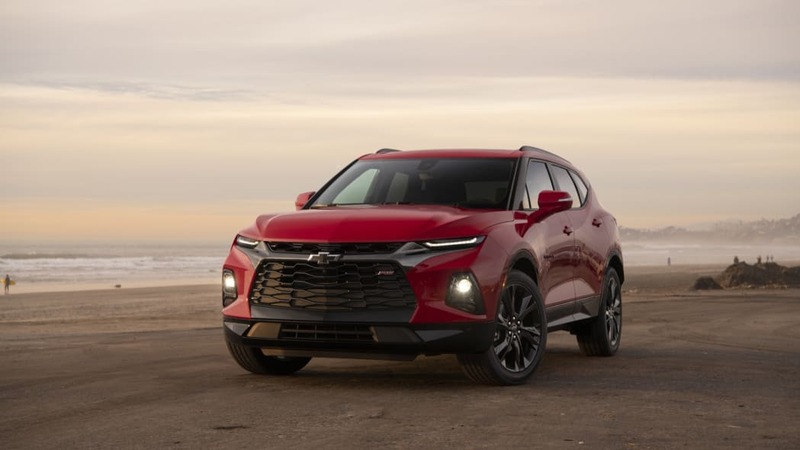 The Blazer RS ($41,795) gets special styling and 20-inch wheels plus integrated navigation, a cargo management system, an upgraded instrument panel, and a heated steering wheel. 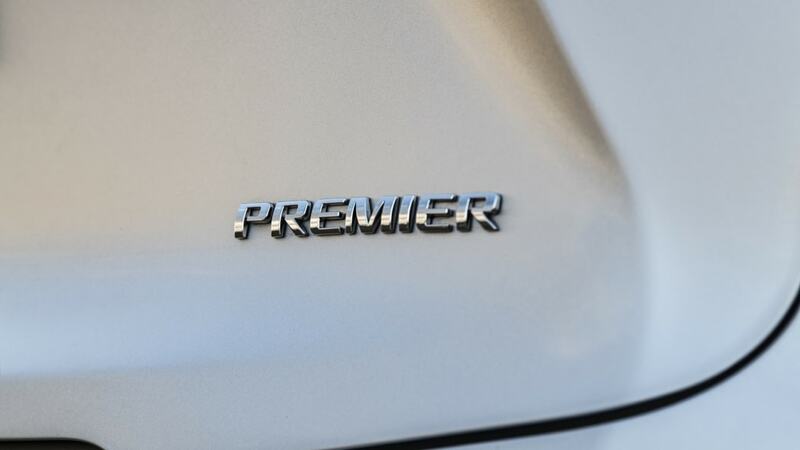 The Blazer Premier ($43,895) loses the RS' various gloss black trim pieces in favor of chromed pieces and different 20-inch wheels. 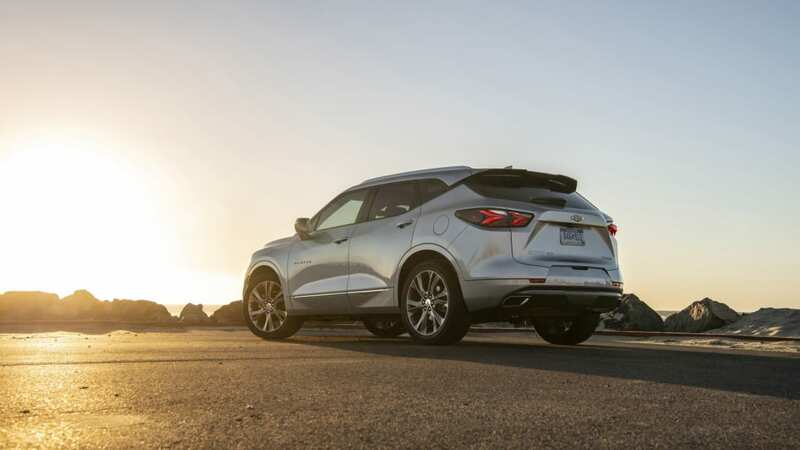 It also adds a Bose sound system upgrade, driver memory settings, a power-adjustable steering wheel, ventilated front seats, and heated rear seats. These extras are available on the RS within its Enhanced Convenience and Driver Confidence II Package. Also included in that package, along with the Premier's Driver Confidence II Package, are various active safety features described below in the safety section. Wireless smartphone charging is also included in those packages. What's Blazer's safety equipment and crash ratings? 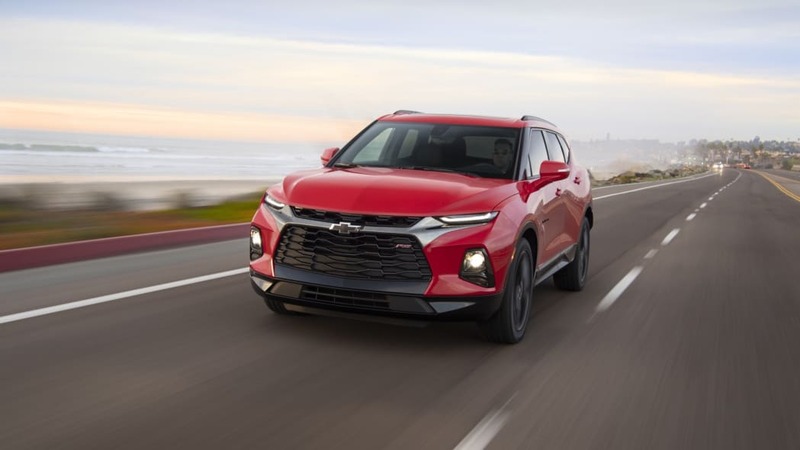 While many other SUVs come standard with accident avoidance technologies, the Blazer keeps them exclusive to the top trim levels, and even then, only as options. 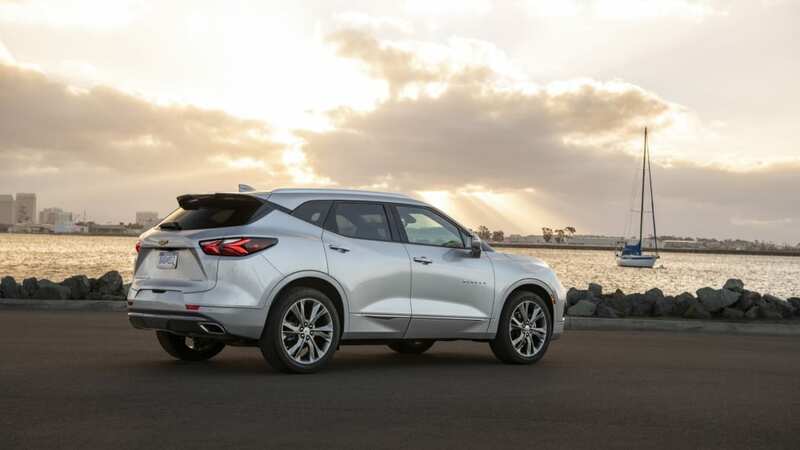 Blind-spot and rear cross-traffic warning are included starting with the 3LT trim, but forward collision warning, automatic emergency braking, lane-keeping assist, and GM's Safety Alert Seat can only be had as part of the Driver Confidence II package. The new Blazer has yet to be crash tested by a third party.